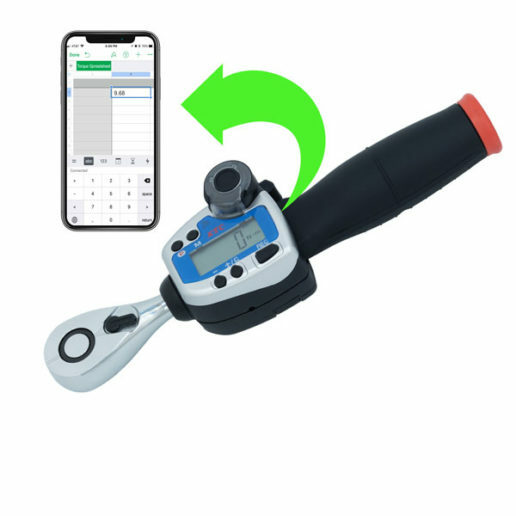 Wireless Torque Wrenches for iPhone® transmit peak data via Bluetooth to iPhones® and iPads® (iOS® 8 and later) up to 20 feet away. A single device can have up to three wrenches connected. The Keyboard app enables the user to capture and log data directly into Notes, Numbers, or any other notepad utility. Wrenches are built with forged steel ratchet heads and 36 tooth gear with double claw ratchets. Positive-lock drives keep the socket from disengaging. The unique power sensor in the ergonomic handle accurately detects and analyzes load applied to the grip to enable precise torque measurement. Wrenches measure in peak mode, peak with auto zero reset, and real time. Five programmable Go/No Go torque presets stored in memory enable users to check frequently used values. Presets alert the user with an intermittent signal at 90% and a continuous signal at 100% of the preset torque using LED and audible indicators (Presets cannot be set at less than 10% of capacity). 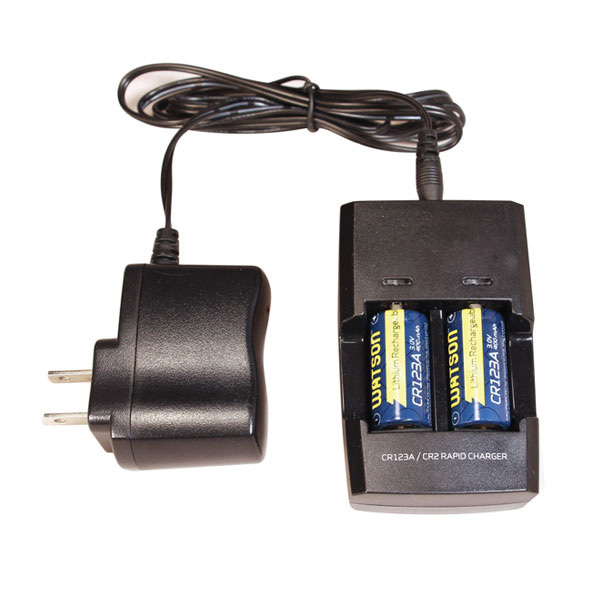 Uses a lithium ion CR123A battery.